Pegasystems Consulting reviews by real, verified users. Find unbiased ratings on user satisfaction, features, and price based on the most reviews available anywhere. 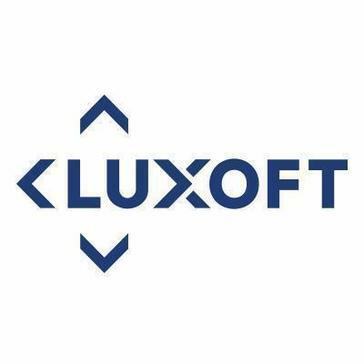 Luxoft is a top quality Software company providing high-end business solutions to clients across the globe. 4th Source designs, develops, and deploys entire IT business software services and solutions for healthcare and many other industries. Anantara is a pioneer of Second Generation Outsourcing (SGO) and is founded by an eminent management team which, by 2007, built a nearly US$ 200 million consulting and outsourcing business from scratch in about a decade. 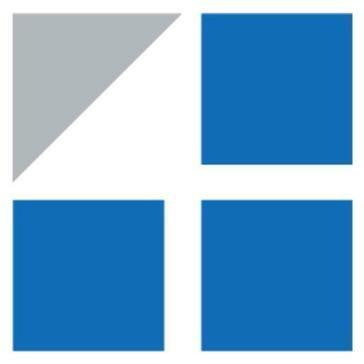 Architech Solutions provides Operations Improvement, Modernization, and Automation Solutions and Services that bridge the gap between People, Process, and Technology. Areteans Technology Solutions is a global services & solutions company that enables Businesses to transform and evolve digitally by executing Pega Implementations the right way in the areas such as BPM Platform based Case Management, Decisioning & Analytics, Customer Relationship Management(CRM), Sales & Onboarding, Marketing, Operations, Legacy Transformations, Business Process Optimization through collaboration. Axiom is a highly agile organization, facilitating requirements in both IT and Talent solutions, specialized in providing premier services for the banking, financial services, healthcare, and insurance industries. Capco, an FIS company, is a global management consultancy with a focus in financial services including banking and payments, capital markets, and wealth and asset management, plus a dedicated energy division. BPM Company is a consulting and implementation services provider. Comptech is expert in Business Intelligence, Business Process Management, Incentive Compensation Management and Work Flow Application Engineering. Cooper Consulting delivers world class information system solutions that help IT executives improve overall performance, profitability, and maintain an advantage in today's competitive environment. Delivery Centric is an IT technology services company which is focused on maximising client business opportunities through cost effective IT delivery. EvonSys helps building and successfully delivering BPM solutions. FINCONS GROUP is a leading Consulting and IT Services Company. iBridge Group provides government organizations and businesses alike with the latest technology, the most efficient processes, and a full-spectrum of services to reduce paperwork, accelerate decision-making and ensure regulatory compliance. Incessant Technologies, an NIIT Technologies company, is a leader in Digital Integration and agile delivery of enterprise iBPM solutions. JKT is a global IT services and software solutions company providing world class solutions to SMEs, start up dot-coms as well as some of the world's largest organisations. Lyance is a customer oriented Technology Company that works in partnership with our customers to design and supply advanced technologies that optimize their operational performance and profitability. Marvel Technologies that develops and delivers professional services and solutions in support of SAP applications. Mphasis consistently delivers global Infrastructure Technology Outsourcing, Applications Services Outsourcing and Business Process Outsourcing services through a combination of technology know-how, domain and process expertise. NETbuilder is a leading provider of software, consulting and managed services to financial, government and commercial markets. Nihon Insight Technologies Corporation is a software company with the cutting-edge JAVA skills and technologies. Princeton Blue is a leader in Digital Transformation enabled thru Business Process Management (BPM), Business Rules and Cognitive Technology Platforms with the objective of improving business efficiency, productivity, throughput and customer experience. Quavo provides Pega strategic applications faster, cheaper and with more quality. Rulesware delivers excellence in Business Process Management. RuleTek is a BPM architecture services company specializing in providing architectural leadership to your Pega Smart BPM projects. Saltech Consulting helps its clients to implement their business processes and decisions with Pegasystems’ technology. A leader in advisory, solutions and managed services, SMS cultivates innovation, digital, mobile and design-led business and technology capability to empower organisations across all industry sectors. Sopra Steria provides one of the most comprehensive portfolios of end-to-end service offerings on the market: consulting, systems integration, software development, infrastructure management and business process services. STERLING5 Partners helps engineering companies build strong and competent teams, capable of thriving in the ever demanding and exiting engineering industry, despite the global skills shortages hard facts. Stratosphere Technical Consulting provides program level expertise and strategy for Business Process Management in the enterprise. Symphony is a niche consultancy combining top level business and technology experience with a highly cost effective delivery organisation. Synechron is a growing digital, business consulting & technology services provider. 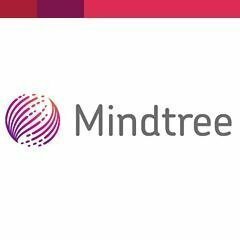 Syntel (Nasdaq:SYNT) is a global leader in digital modernization services, with a core suite of automation-driven IT and knowledge process services. TSymmetry is a nationally recognized Washington, DC based Certified Hub-Zone Small Business providing highly skilled and cleared information technology consultant staff to our Partners and the Federal Government. Wymond Associates is an agile and responsive team of information technology specialists with the knowledge and experience to provide you with exceptional services and top quality solutions. Hi there! Can I help you find the best Pegasystems Consulting solutions?